There are some beginnings to movies and books I so wish I had written because they encapsulate perfectly in a few lines what the thing you’re about to read or watch is all about. And those lines of dialog I quoted at the beginning of this review tells you everything you need to know about GOLDEN NEEDLES. There’s this statue. Everybody wants this statue. Everybody is perfectly willing to double-cross, lie, cheat, steal and kill to get possession of same statue. And for 92 minutes that’s exactly what the cast of this movie does. GOLDEN NEEDLES has been described as a Martial Arts Movie version of “The Maltese Falcon” and that’s valid. 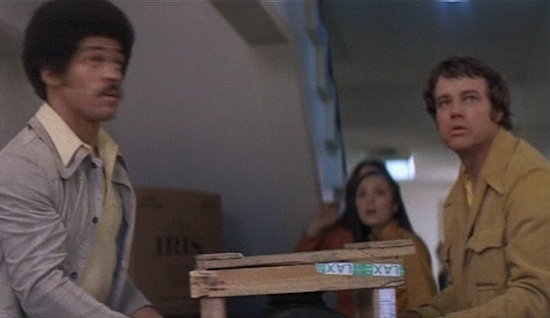 Joe Don Baker is Dan, a professional gambler/ex-thief hired by Felicity (Elizabeth Ashley) to steal the statue from gangster Lin Toa (Roy Chiao.) Felicity had a deal with Lin Toa to buy the statue from him but he reneged and so Felicity has no choice but to rely on this somewhat eccentric adventurer. Dan’s partner Kwan (Tony Lee) is killed as a result of the theft so now it’s become personal for Dan. The hunt for the statue takes him all over Hong Kong, with Felicity sometimes on his side, sometimes not. He even has to travel to Los Angeles and hook up with his old buddy Jeff (Jim Kelly) and then back to Hong Kong, dogged by Su Lin (Frances Fong) who has shadowy ties to the police and who also wants the statue. 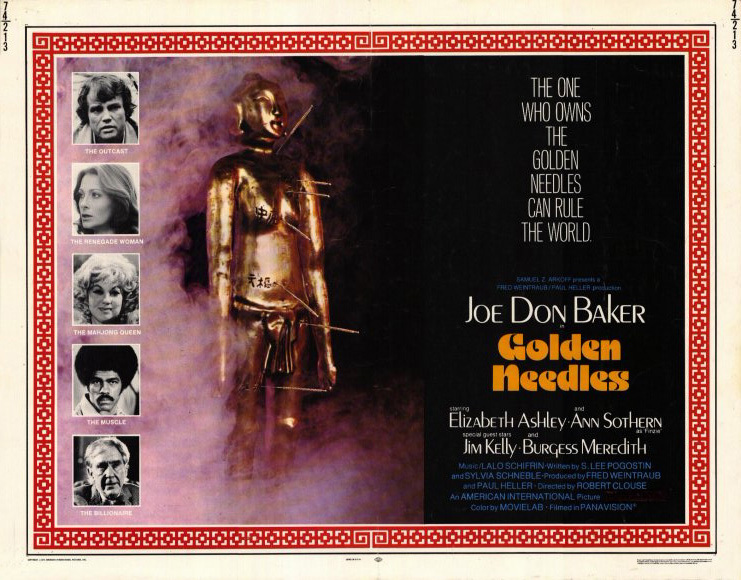 GOLDEN NEEDLES is one of my favorite 70’s movies for a number of reasons. One: it’s directed by Robert Clouse who directed the classic “Enter The Dragon” “Black Belt Jones” “Gymkata” and “The Big Brawl.” Say what you want about Mr. Clouse but for my money, he was a director who knew how to keep a story moving. GOLDEN NEEDLES hits the ground running and never slows down. The story and characters keep moving as Clouse knows how to do characterization while still advancing the plot. I really enjoy Joe Don Baker in this one and I think the smartest movie in this movie is to not have him do any kind of martial art. His character is a barroom brawler and it really makes the fight scenes interesting to see him take on karate killers and kung fu masters with his barroom brawler style. He’s a big guy and in the fight scenes he uses that to his advantage, taking a number of hits and kicks from his opponents to get in close where he can do his damage. 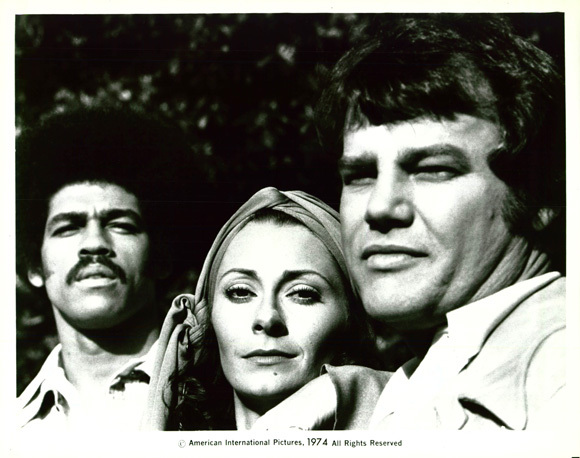 Joe Don Baker is also an eccentric actor and he shows it off here. It’s a lot of fun to watch him. Especially in his scenes with Jim Kelly who he hooks up with when the action shifts to Los Angeles. He and Kelly have good chemistry together and the only problem I have with this movie is that when the action goes back to Hong Kong, Jim Kelly is left behind. This is the movie that made me fall in love with Elizabeth Ashley. She has such a wonderful voice and expressive eyes she owns ever scene she’s in. 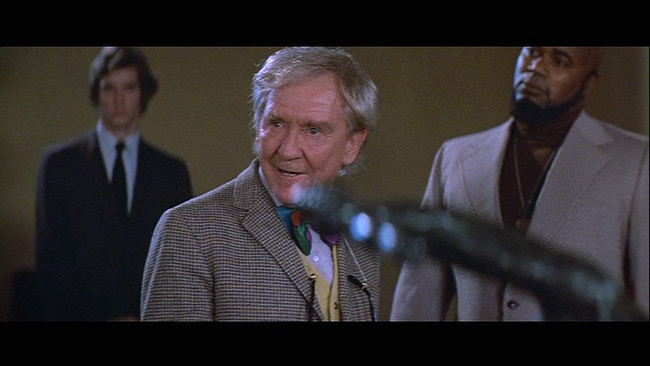 Burgess Meredith plays The Bad Guy in this movie who wants The Golden Needles and he chews every piece of scenery in sight. Old School Actress Ann Sothern shows up here as the madam of the gambling joint Dan hangs out in. There’s some fine action sequences such as when Dan breaks into Lin Toa’s place to steal The Golden Needles, a karate battle Jim Kelly has in a Los Angeles health spa and near the end when Joe Don Baker is pursued by a bloodthirsty mob who mistakenly thinks he has killed a child. It’s actually a pretty harrowing scene and one that Joe Don Baker sells as he honestly looks scared shitless as he’s trying to escape from the crowd screaming for his blood. So should you see GOLDEN NEEDLES? Absolutely yes. Get yourself ready with the snacks of your choice and GOLDEN NEEDLES. Then just sit back and enjoy.